Our heavy duty insect screen door allows you to maximise ventilation whilst still adhering to EHO and fire officer requirements. 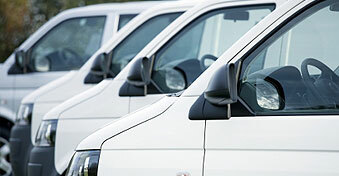 The stainless steel 18 x 16 mesh is strengthened by a protective aluminium grille, offering a very hard wearing door which covers the majority of applications and is a must for high flow traffic areas. The insect screen door has a decorative protective grille that protects the insect screens stainless steel mesh from being kicked or punched out. Each mitred corner is held together with a strong metal key that has been double riveted for maximum strength. Our heavy duty fly and insect screen door can be fitted over wooden, PVCu and steel doors. A sub-frame is sometimes fitted to avoid the fly and insect screen door fouling the existing door or furniture. This all aluminium two way insect and fly screen door has been designed to conform to fire legislation whilst working effectively in front of a fire exit, supplied in standard or heavy-duty variety this fly screen door operates smoothly in both directions before coming to rest within its own sub-frame, to make a perfect seal to protect against flies, bees, wasps, midges and other flying insects. 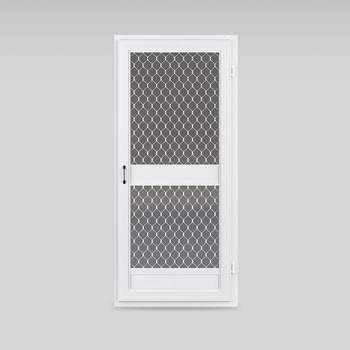 This type of fly screen door is purpose made to suit a particular opening, it will strike any crash bar or panic pad and open a fire exit door. These insect screen doors are permanent fixtures and therefore the insect screens cannot easily be removed.